This is a continuation of a travel series to South Dakota. To start at the beginning, go HERE. The rest of the posts in chronological order are HERE, HERE, and HERE! 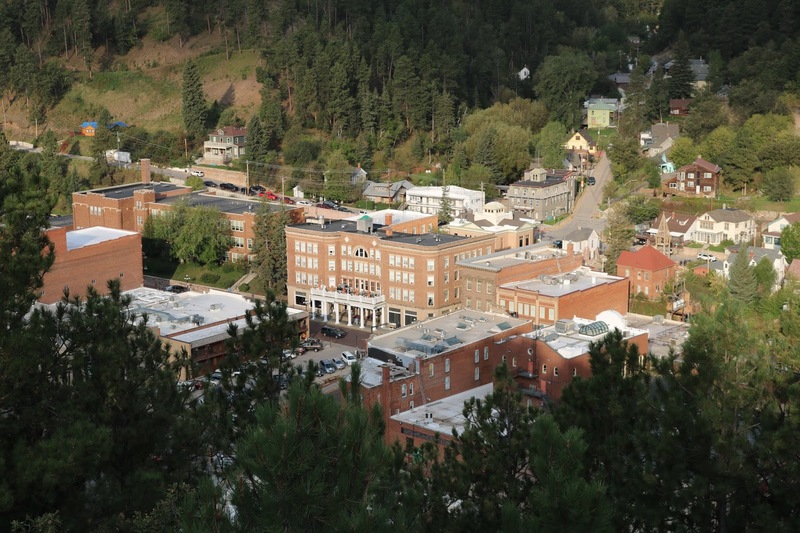 Before leaving Deadwood, South Dakota for a day of hiking to seek out waterfalls in Spearfish, we stopped at Mt. Moriah Cemetery. 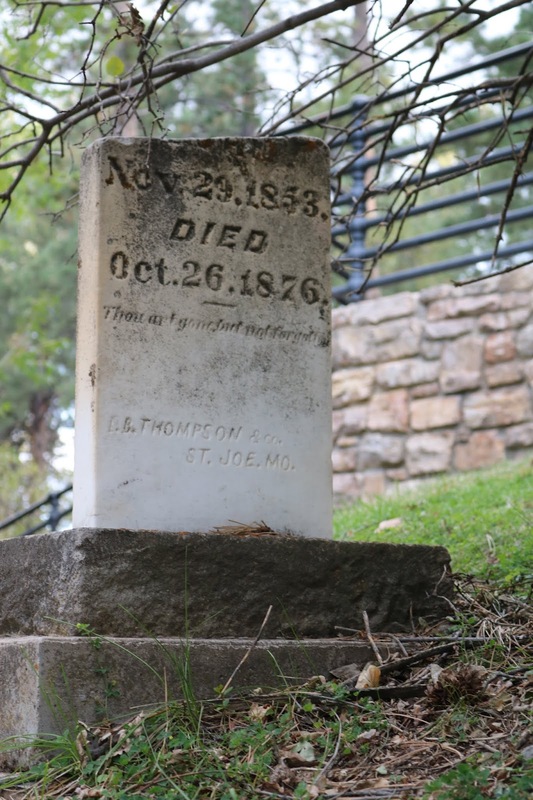 Old cemetery's are great places to learn more history of the area. But we found out that Mt. Moriah was not just a great place for history lovers, but nature lovers as well. It also offered scenic views of the town of Deadwood as it sits high on top of a hill overlooking the town below. The name of the cemetery and its street names have a religious affiliation with the Christian Bible and the Jewish Torah. The real Mount Moriah is located within Jerusalem. The symbols on the cemetery gateway represent The Independent Order of Odd Fellows, Freemasonry, and the Star of David. With the exception of a few of its wealthier or most notable citizens, most of the tombstones in this cemetery are simple or non-existent. 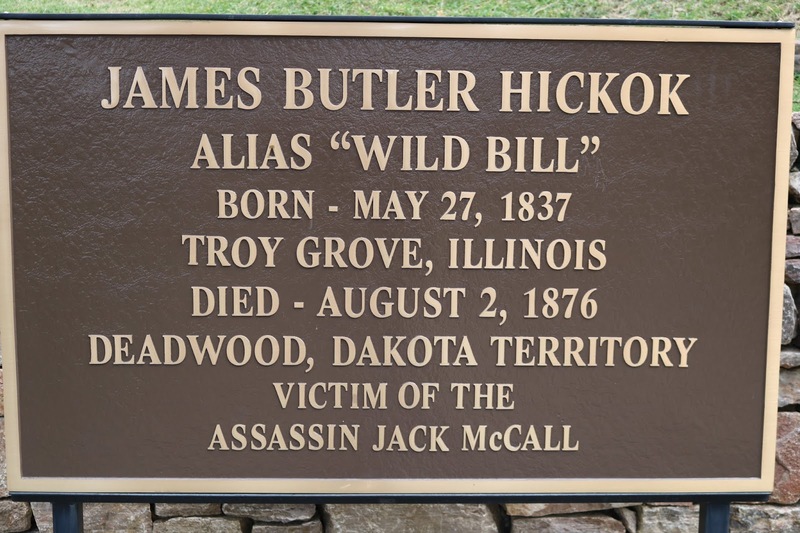 There are three "Potter Fields" or final resting places of Deadwoods "early-day indigents, prostitutes included". 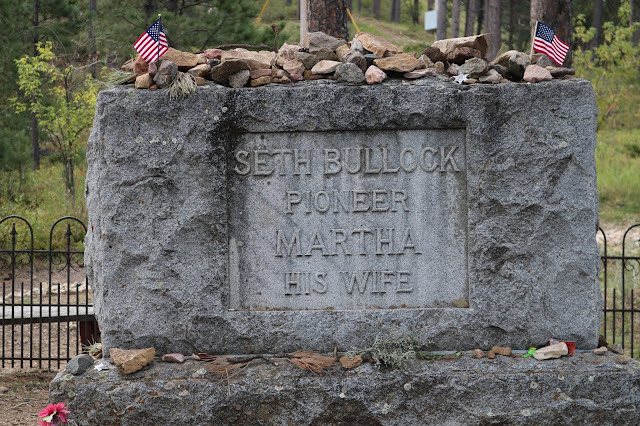 This tombstone caught my attention because of the brevity of the life and it's faded engraving. 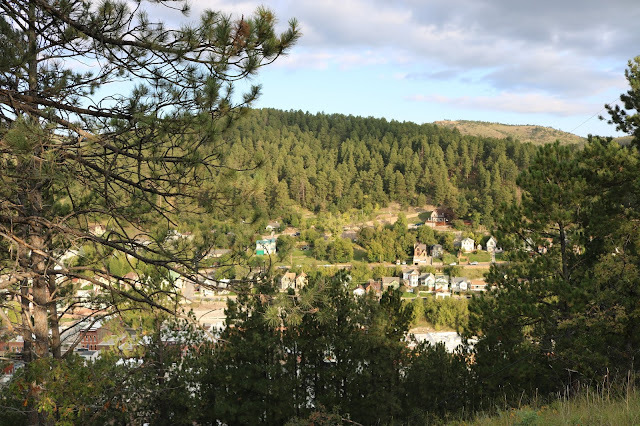 Even if you are not a history lover and/or find cemeteries creepy, you must take the time to stop and visit this cemetery for the view alone. Because we were there early in the morning, we caught the sun lighting up the city of Deadwood below. 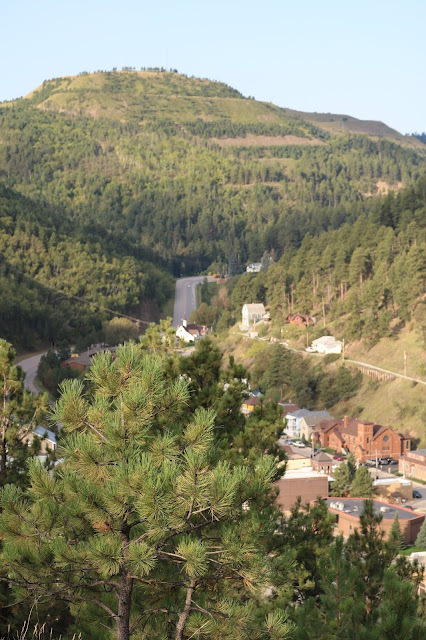 The land for the cemetery was purchased in 1878 and is located on a mountainous plateau overlooking Deadwood Gulch. 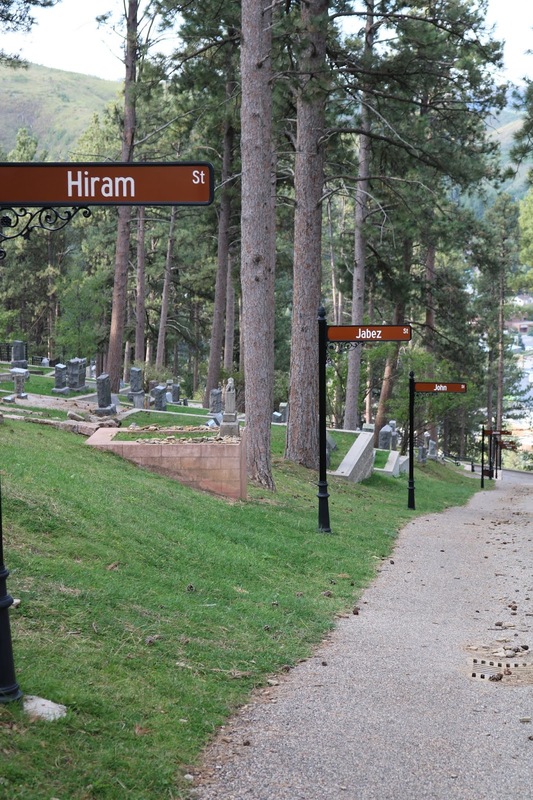 What a beautiful spot for a final resting place, eh? Too bad the cemetery is now a "closed cemetery". 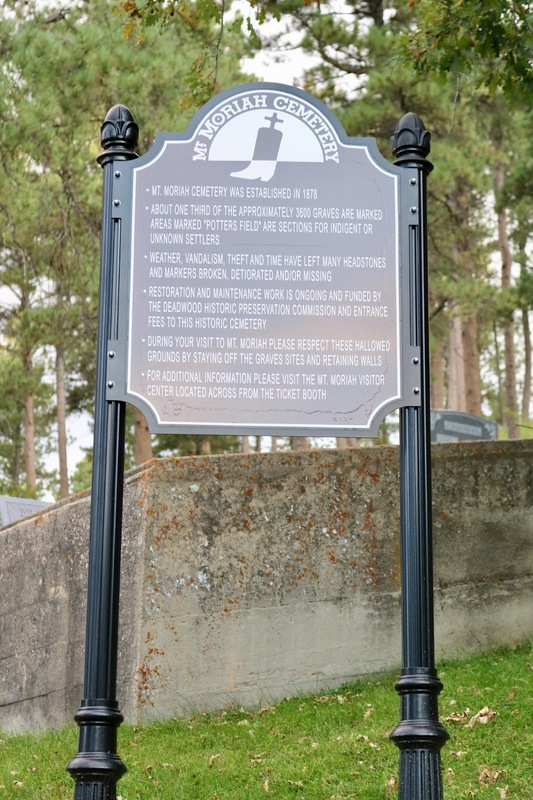 It closed in 1949, but there are some plots being held for various families and individuals for future use. My husband and I enjoyed seeing this view after we had spent a full day in Deadwood. It was fun to locate and see all the places we had been, like the Franklin Hotel seen below. 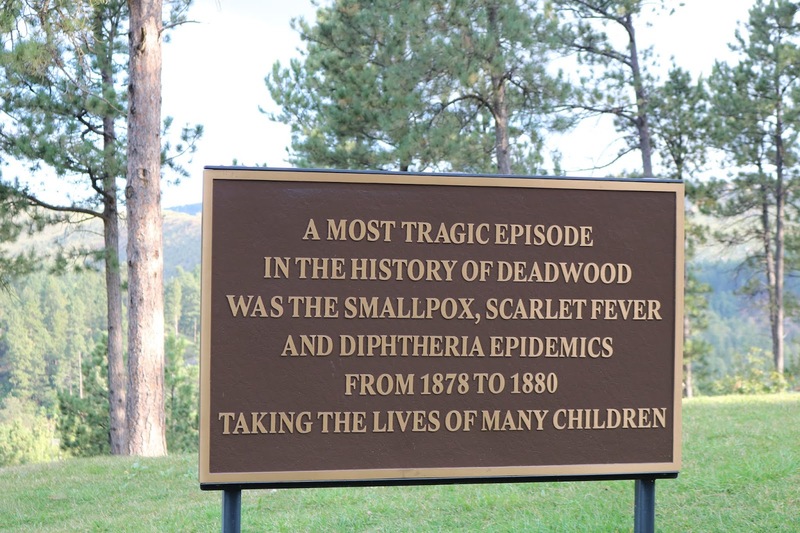 It was so sad to read this sign and I tried to imagine how difficult life was back then for the early settlers. I wondered, "Did they really value and treasure life, because it could be so brief" or "Were their hearts hardened because they had seen and experienced so much death?" I just don't know. 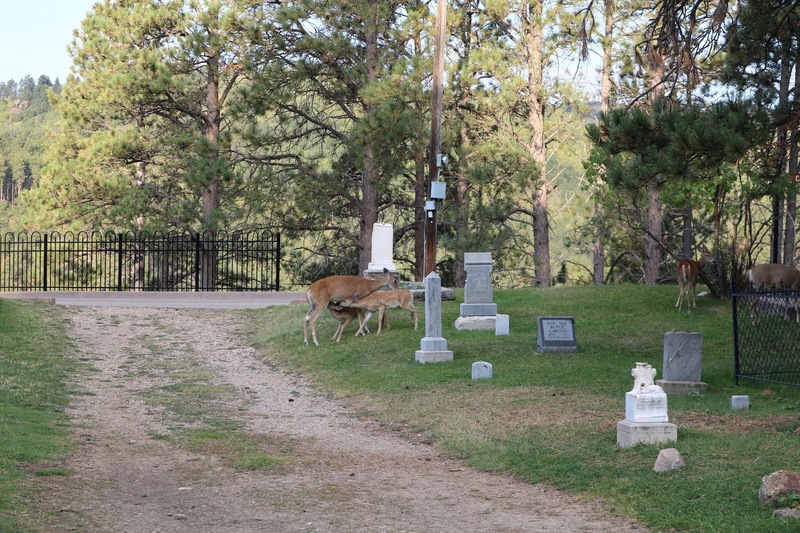 Perhaps the most surprising thing about visiting this cemetery was seeing all the wildlife. 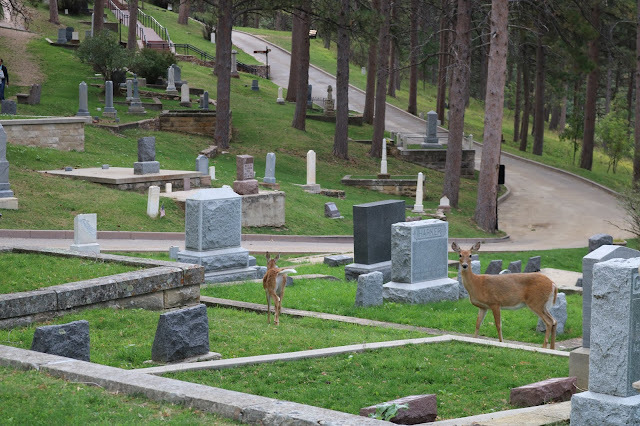 This cemetery was filled with deer! You could get fairly close to them too before they ran away. If you have a chance to visit this cemetery I strongly suggest going early in the morning so you can see all the deer. We were there around 8:00 am. 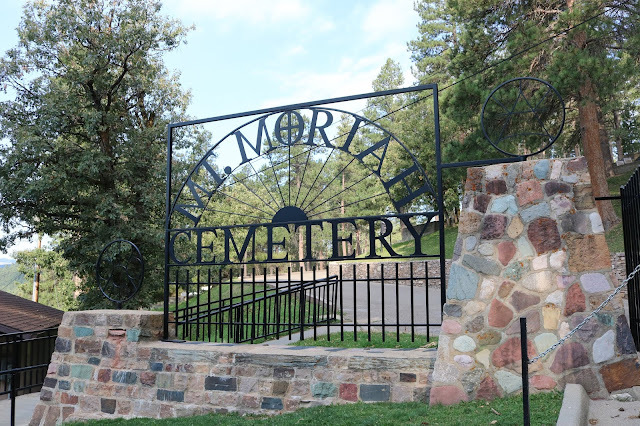 There are 3,400 people buried in Mount Moriah Cemetery. 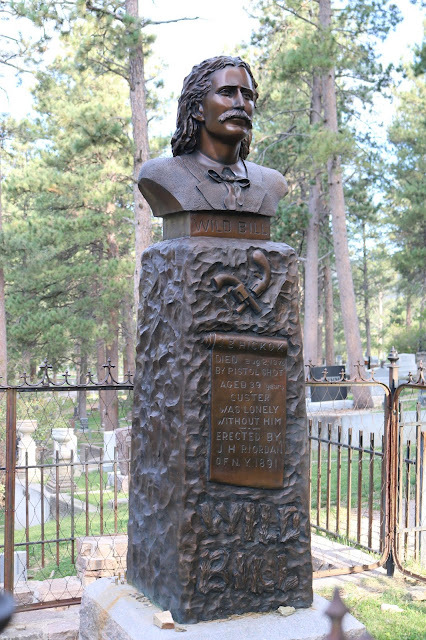 The grave sites of many of Deadwood's most famous residents are located here, the most famous of them all "Wild Bill Hickok"! 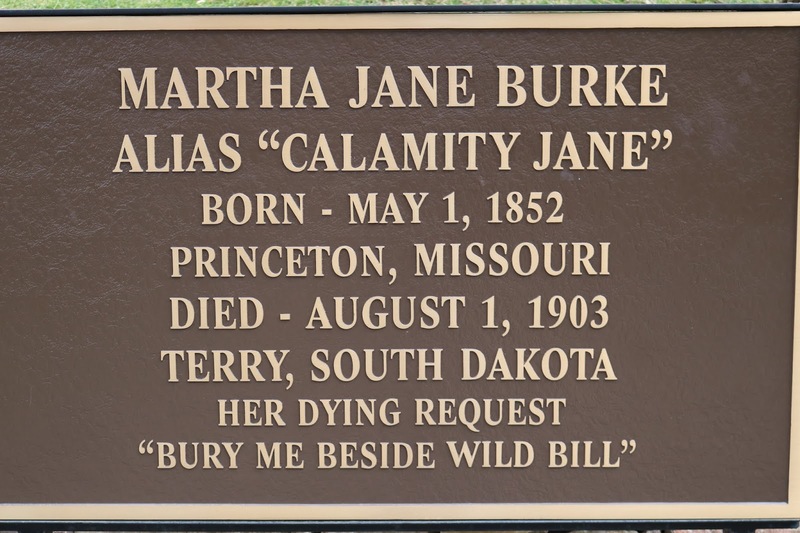 Other famous people buried in this cemetery include "Calamity Jane", "Potato Creek Johnny", and Seth Bullock. 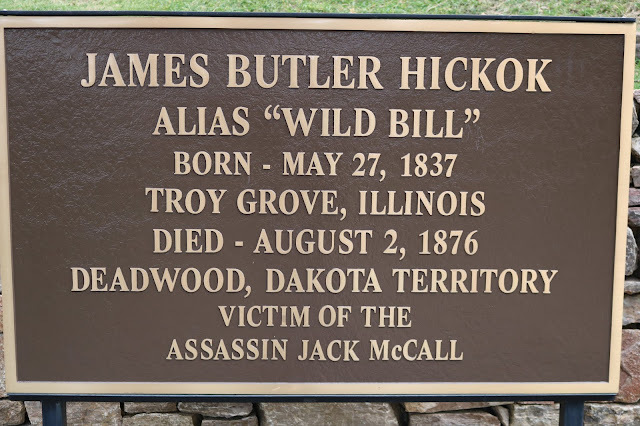 The rocks left on the grave act as a remembrance to this deceased. When rocks are not available, coins, and bits of glass are sometimes used. 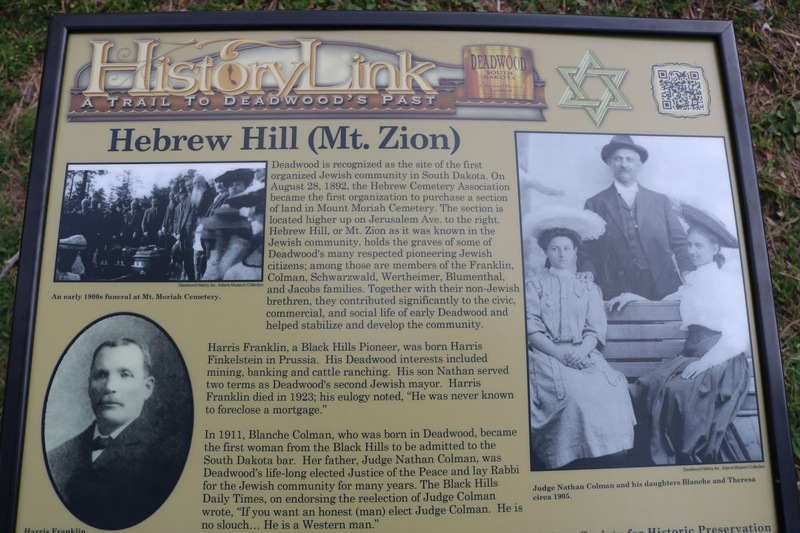 Because my husband and I are Christians, we love Jewish history and we really enjoyed learning all about the Jewish immigrants to Deadwood and how they contributed to make Deadwood a prosperous and thriving city. 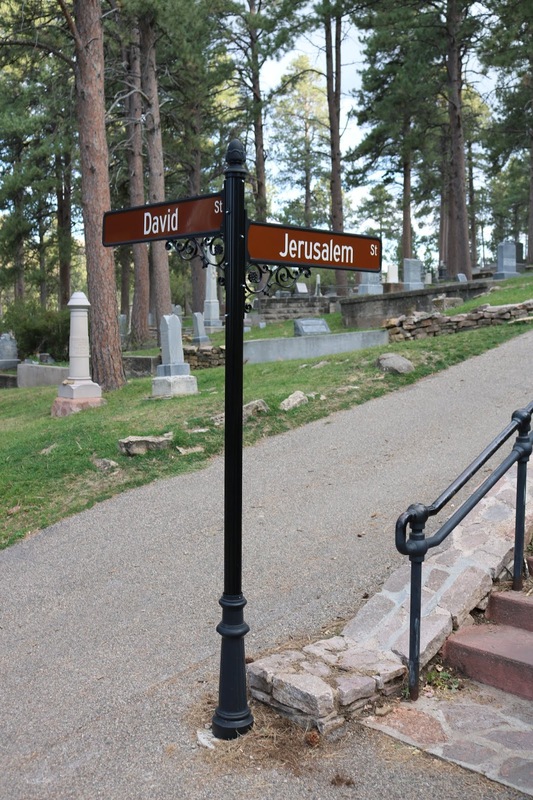 We also loved seeing all the biblical street names in this cemetery. There is a small charge of $2.00 to visit this cemetery. It is open from May 15 to October 15 every day from 8:00 a.m. to 6:00 p.m.
And that concludes my final post of the city of Deadwood, South Dakota. 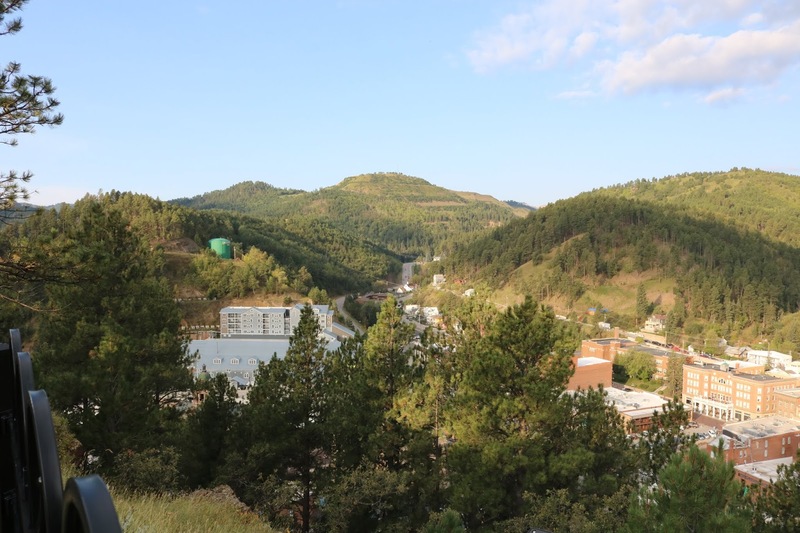 Next week I'll share my first post in a new area: Spearfish! Believe it or not, there are waterfalls in South Dakota! Such beautiful views. I've wondered too what it must have been like to live in that culture. I really can't imagine. Yes, they are. Oh, I know! When we went to the museum and read a lot of the newspaper articles back then it was shocking! People were a lot tougher back then now! What a view and how neat to see so much wildlife wandering around. Yes, it's worth the stop for the view alone! 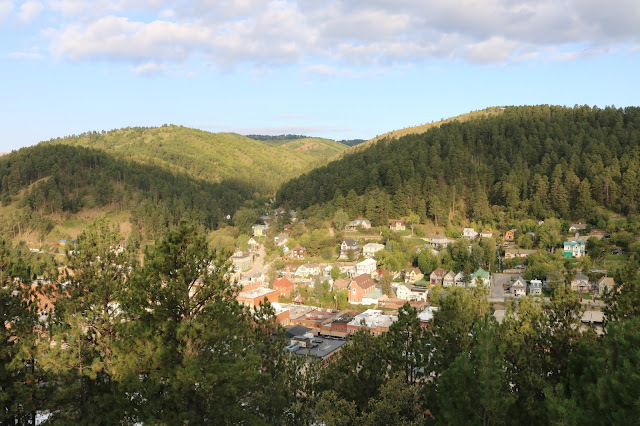 Wow, what an amazing view and I learned a couple of things today about Deathwood, South Dakota. So much history! It's nice to learn from those before us and see just what life was like but then it's hard to imagine what type of life they live from the ones we have today. Absolutely! Thanks for visiting Maureen! Now there's another place we will plan to visit this summer when we are there because of your tempting post and description! My husband loves the history in cemeteries and, because of that, I now don't mind going to them with him. Thanks again for a great post! I'll look forward to the next one! What a beautiful place to visit--and full of so much history. I'm glad you enjoyed it, Amy. It is so pretty! Thanks for visiting Christie! Easily one of the most beautiful cemeteries out there. So much history and wildlife. Yes it is, thanks Jess! What a wonderful place, Amy! I love exploring towns and old cemeteries like that.